The Fatra roofing systems are adaptable and can solve most roofing requirements. They can be found on a wide range of building types, from domestic through industrial to educational and retail. With mechanically fixed and bonded variants available a Fatra roof can be installed on to any suitable structural deck and provides an economic watertight finish. 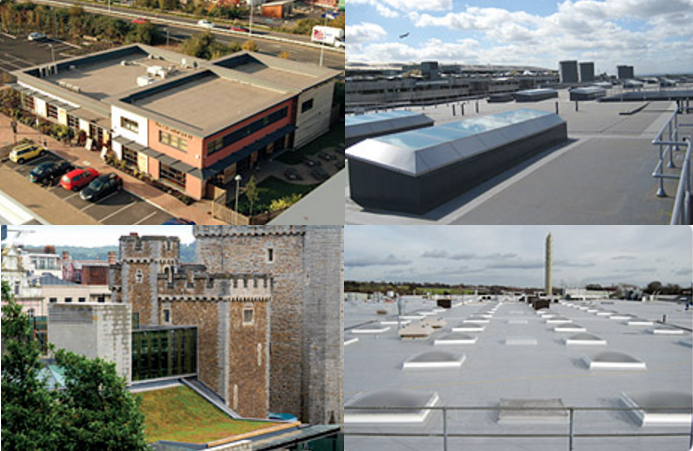 In many cases the roof can also be designed to give an aesthetic finish or perform other tasks such as provide a terrace, a green roof or achieve an acoustic requirement. The adaptability of the systems means that they are also suitable to reroof many existing failed roofs, including felt, asphalt and metal. For this to take place a survey should be carried out before commencing design. For further information how ABLE Waterproofing Ltd can supply and install a Fatra system please call on 0208 680 7999 or contact us through our Contact Us enquiry page.